THE STORY: Isabel Marant knows how to seduce women to switch from uncomfortable heels to cool and casual style boots and still to be present on the fashion radar. The classic Dicket boots are cut from supple suede and finished with a wooden-effect heel, this cult style became an instant must have piece for the front row beauties and models. 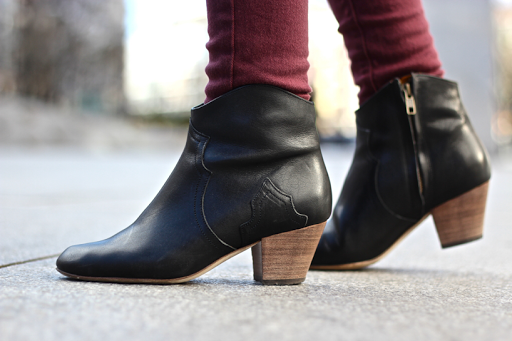 The Isabel Marant Dicker boots are the ultimate everyday style which brings effortless cool to any look. You can pair them with anything from skinny jeans to dresses and skirts. The Isabel Marant Dicker boots size 35-41 (Euro), 2-8 (UK). these boots are pretty nice!